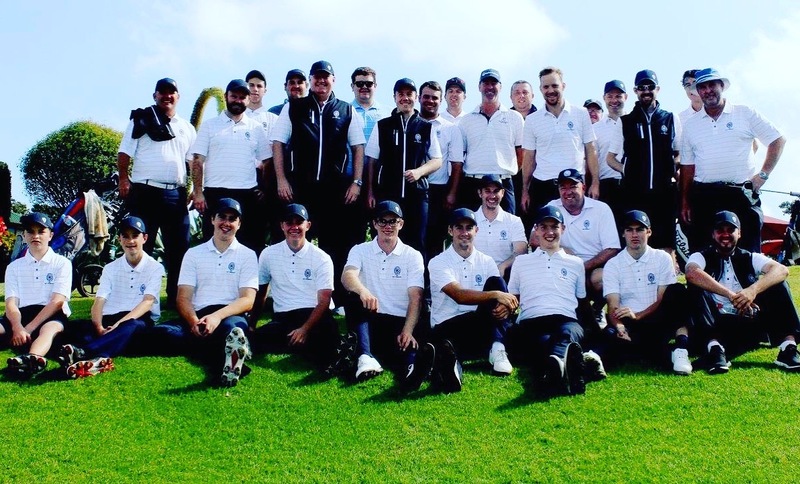 The Brisbane Golf Club made a successful return to Division 1 in BDGA Pennants yesterday securing a valuable point in its away match against Nudgee Golf Club. After 21 matches the two teams could not be split with each securing 10.5 points. There was a thought the points would be shared before a ball had been hit in the morning with rain falling overnight and as the first players teed off. It was therefore ironic that five hours later in perfect weather conditions a draw had played out. There was no shortage of inspirational play with our five debutants producing 3.5 points out of a possible 5 points; our Masters securing 4 wins including an absolute ‘nail bitter’ from Gary Brodie on the 18th; our Juniors winning 3-2 and our Opens fighting hard in every match. Click here to see the Photo Album from Round 1. Our Juniors benefited from their recent match play experience playing in the BGC junior championship finals to record 3 wins including Ben Stieler (2&1), Bailey Ittensohn 1 up and Dylan Barraclough 7&6. Sam Slater and Jordan Hampson both lost 1 down in extremely close matches. Wins to Stephen Cox (6&4), Tim Lukin (6&4) and Scott Bretherton (2&1) and a half to debutant, Eugene Estella saw the Opens contribute a crucial 3.5 points. Our Opens fought hard all day and another five matches were close to the very end and easily could have gone the other way. Our Masters were again dominant with Gary Brodie winning 1up, Warwick Oxenford winning 4&3, debutant Rick Davenport winning 3&2 and Stephen Deane defeating Stephen Rowley 5&3. Gary Brodie’s match was the last ‘live’ match of the day and he’s comeback from 3 down to win 1 up was without a doubt the moment of the day. Under the pressure of a large crowd surrounding the 18th green he closed out his match to secure the draw. Wins away are extremely difficult and BGC was the only team in Division 1 and Division 2 to secure any points playing away last weekend. 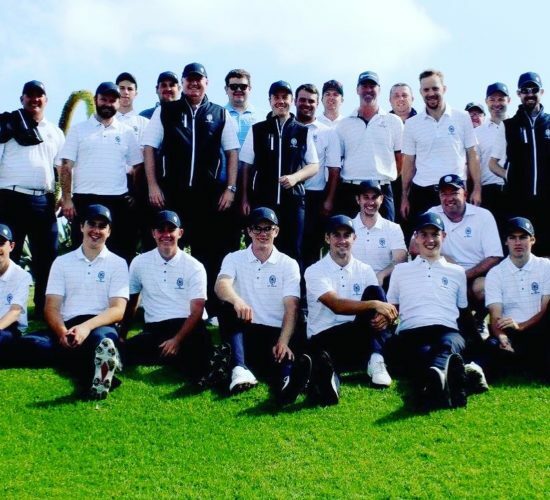 It was wonderful to see our full squad including reserves supporting the players on the day and a number of BGC Members also in attendance helping as caddies. The Brisbane Golf Club is away again on Sunday, 23 July 2017 at Keperra Golf Club. Keperra won Division 1 in 2016 and showed how strong they will be again in 2017 with an outstanding 18.5-2.5 win against Oxley Golf Club. Both their Juniors and Masters recorded 5-0 victories. Team selections will be finalised early this week and announced before Wednesday.